This e-book, Student Council Campaign: Winning Strategies, Speeches, Posters & Slogans, is like having your own personal student council campaign coach! You will learn from first-hand experience the campaign strategies you need to become more effective, more appealing to voters and above all, more credible. How to create dynamic slogans, speeches and posters that will compel others to vote for you. How to research and develop rock – solid campaign ideas and a compelling vision for your school’s future. How to develop a game plan and reach out to voters strategically to improve your chances of winning. Okay, so what does it cost for this tremendous resource? Similar books available on Amazon.com are over 15 years old and sell for over $20! Many of these books are not even available in digital formats for smart phones, tablets and personal computers. This guide could easily sell for $10.00 or $15.00, given it is being published in 2014 and packed with TONS of valuable hints, stories and advice. But today, you can get this valuable campaign resource guide for only: $2.99 – no more than what you might pay for a basic smart phone app!! I am so convinced this e-book has the potential to help you and thousands of other students improve student council campaign strategies, I’m willing to offer a 100% Money-back guarantee if you are not completely satisfied with this handy guide. 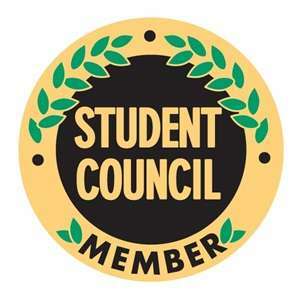 At any time after purchase, simply email studentcouncilpro <at> gmail.com to receive your money back, no questions asked. You can even keep the e-book afterwards! You literally having nothing to lose and a wealth of knowledge and experience to gain! This book took over a year to write! Believe it or not, I literally spent an entire year writing this book. I invested my own sweat and tears, sacrificing hours away from friends and family, scrutinizing each section, digging deep into my personal collection of notes, campaign posters and personal stories. I took the very best of my personal experiences, and advice I received from others, and crammed it into the pages of this book. If you are somebody who takes student council seriously, and truly wants to step up your game, this book is for you! I realize a lot of candidates are satisfied slapping together hastily made speeches and posters hoping their good looks and personality will carry them to an easy win. This book is not for them and I’m okay with that! It’s really intended for students who wish someone out there was available to help coach them through the critical points of creating absolutely unforgettable student council campaign posters, speeches, slogans. If you are reading this, I’m guessing you understand what I’m talking about and that this book can help you! You have my promise of a 100% Money-back guarantee, if you are even slightly unsatisfied! Don’t delay, take action and order today!